Your favorite superheroes from the hit Teen Titans Go! show have been turned into soft and adorable plush figures! This Teen Titans Go! 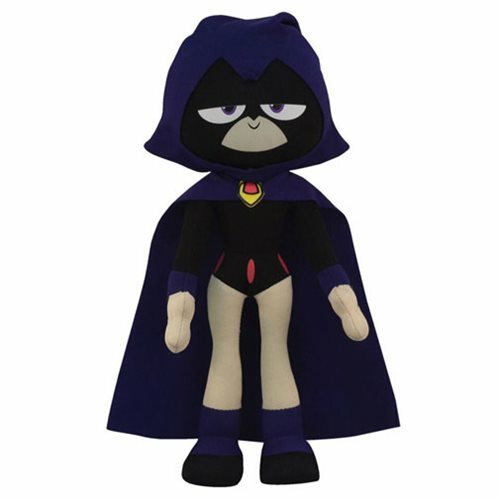 Raven 10-Inch Plush Figure is perfect to put next to you on the couch as you watch the Teen Titans Go! show on Cartoon Network. Measures about 10-inches tall! Ages 3 and up.